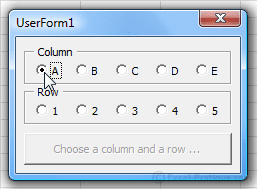 Controls have all sorts of properties, and the events associated with them vary, but for now we will only look at a few of the many possible uses of controls in VBA coding. For now, when we enter a number and press OK, nothing happens. To make something happen, we'll start by adding an event that puts the value of the text box into cell A1 and closes the UserForm. 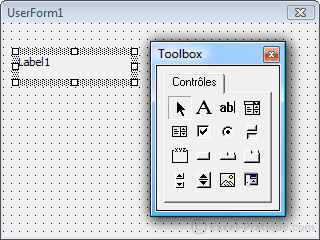 The drop-down list contains different controls and the UserForm. 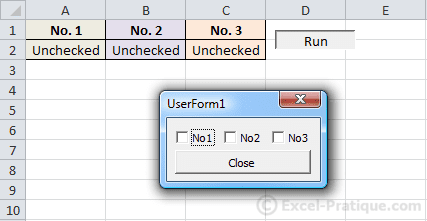 The value will now be saved in cell A1 before the closing of the UserForm. 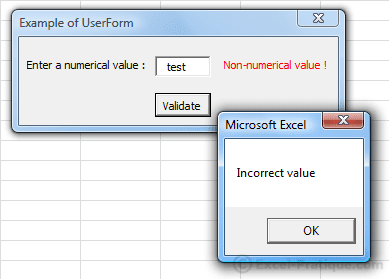 Now let's add an event that will be fired when the value of the text box is changed, which will display an error message if the value is not numerical. 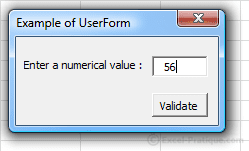 In this example, the checkboxes start out unchecked when the UserForm is first opened. Private Sub UserForm_Initialize() 'Check box if "Checked"
The user may only select one Option Button per "group", which is not the case with checkboxes. Once the form has been submitted, we will enter data into the cell that corresponds to the column numbers and row_value chosen. In order to know which option button was chosen, we could do the same as in the previous example (with the checkboxes) but we will do it with a loop to reduce the length of the code. Now this form enters the value "Cell chosen !" into the cell that has been chosen (provided that the form is complete). 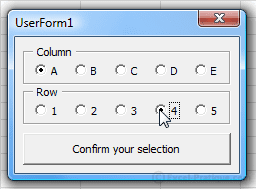 To avoid a bug, we need to check to make sure that the user has chosen correctly from the two sets of option buttons. 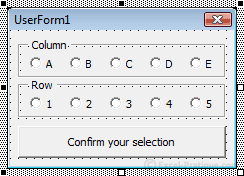 In this example, when the form is incomplete, the "Confirm" button will appear in gray (deactived). 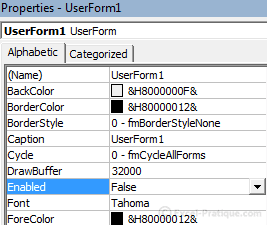 This is not the simplest solution, but it's a good example of why functions/procedures are useful within a UserForm. In the preceding code, we used 2 For Each loops to retrieve the values of the option buttons. We will now need to use these same values for the "Confirm" button and the Click events for the ten option buttons. So that we don't have to copy the loops for each event, we'll call them using a function. Private Sub CommandButton1_Click() 'Action that is taken when you click "Confirm your selection"
All we have left to do is to create a procedure that verifies that the buttons have been checked correctly (by calling the two functions), and which will activate the button if necessary.